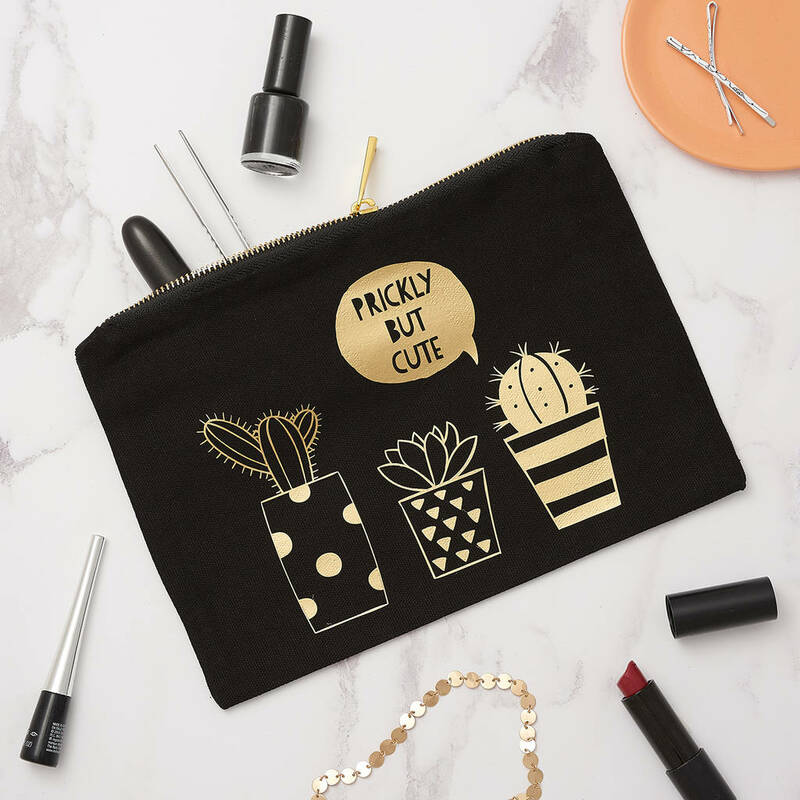 This make up bag design features a cute little row of cacti complete with speech bubble. This bag is the perfect size to fit in all your make up essentials, as well as a small hairbrush, and makes a great wash bag to keep your toiletries or jewellery safe while travelling. Made with 100% strong canvas cotton material, and printed with metallic gold in our seaside studio in Brighton, it is carefully packaged to ensure safe delivery. If you have any questions, about this or any of our other items, please contact us via the Ask Seller a Question button and we will get back to you as soon as possible.